Yes, you read that right. My best friend and I are roadtripping from Florida to California. Are we crazy? Probably. But she is moving out there in August and we must get her there. We have been to California twice together and had a blast both times. I'm so excited to take 10 days to do NOTHING before I start teaching in the fall. We are expecting the trip of a life time! Have any of you done a cross country trip? Our first trip to California back in 2006. 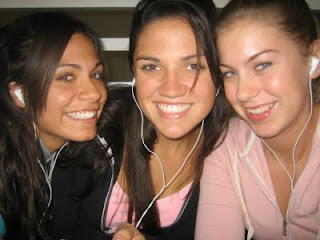 I'm in the middle and she is on the right. 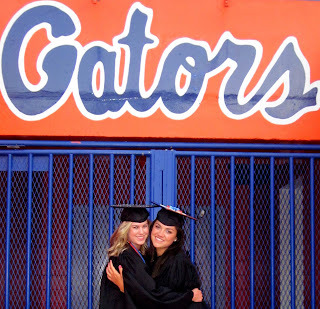 This is us in May for her graduation from UF. Go gators!